HOT DEALS: Final offers in the Amazon electronics sale – ends February 28th | What Hi-Fi? 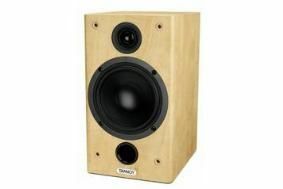 A couple of hot deals caught our eye this week: Tannoy's F1 Custom speakers have long been favourites of ours, but when the price went up from £110 to £160 we had to gulp. Now you can pick up a pair on Amazon for £99.99. That's more like it. On the Blu-ray front, there's an LG BD370 BD player for £139.99. And if you need something to record your favourite TV shows, Amazon has plenty of discounts on Sony's outgoing DVD/HDD recorders. For example, you can have a Sony RDR-DC100B DVD recorder with 160GB hard drive for £189.99. Or a Sony Freeview HDD recorder with 250GB hard drive, the RDR-DC205B, for £224.99. The 500GB version will cost you £359.99. Telly deals include a Sony KDL-26S5500 for £299.99, a Toshiba Regza 32RV635DB 32in Full HD LCD for £349.99 and a Freesat HD-equipped LG 47LF7700 for £779.30. Check out these and many more deals on the Amazon website.